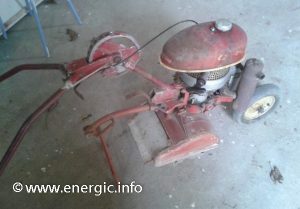 Energic Motobineuse Type 75 CL. 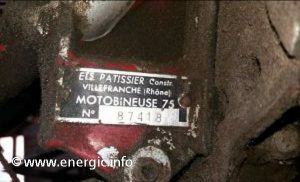 Energic Motobineuse 75 CL has the Sachs 2.5 cv engine/moteur (also in the Motobineuse 75 MVR and Motobineuse type 75 Rapide – groupe moteur Sachs). 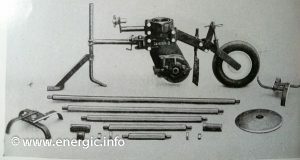 For Maraichers, Horticulteurs and Pépiniérists. Specifically for deeper depth of work/binages profonds (unlike the Rapide ranges which where designed for shallower soils/binages légers). (previously just known as Groupe 75 with no rapid or CL ranges, with the same moteur from 1959/60). Engine/Moteur. 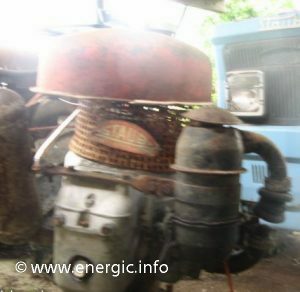 Using groupe moteur; Sachs Single cylinder 76cm3, 2.5cv, 2 stroke, Air cooled. Adaptions. Overall settings adjustment between 22 cms to 1 meter. 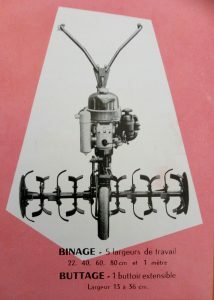 For hoeing/binage 7 settings varying between 10cm to 53cm, for Motobuteuse – buttage 5 settings 15cm to 46cm. 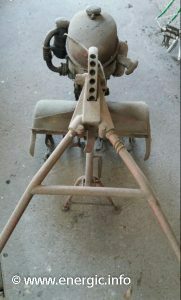 Grass cutter/motofaucheuse, plow/buttoir, hitch remorque, avant train tracteur, etc. 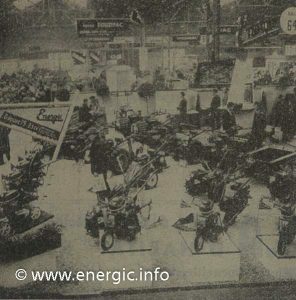 Energic Motobineuse Type 75 CL options. 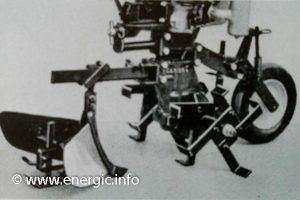 Energic Motobineuse Type 75 CL adjustment bars. 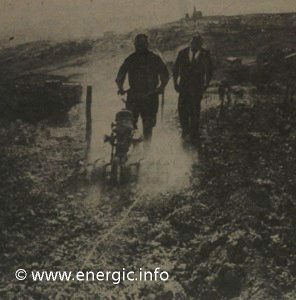 Energic Motobineuse Type 75 CL equipped with a plough larger/buttior. 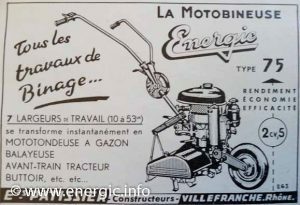 Energic Motobineuse Type 75 CL or staub PP75 Cl!